The first budget from Justin Trudeau's government finds the Liberals compromising some of their election promises to keep others, laying out a longer and larger string of deficits to begin the kind of long-term investments they say Canada needs. While the big ticket items match the platform that helped the Liberals win a majority last October, other commitments aren't ready to roll out. 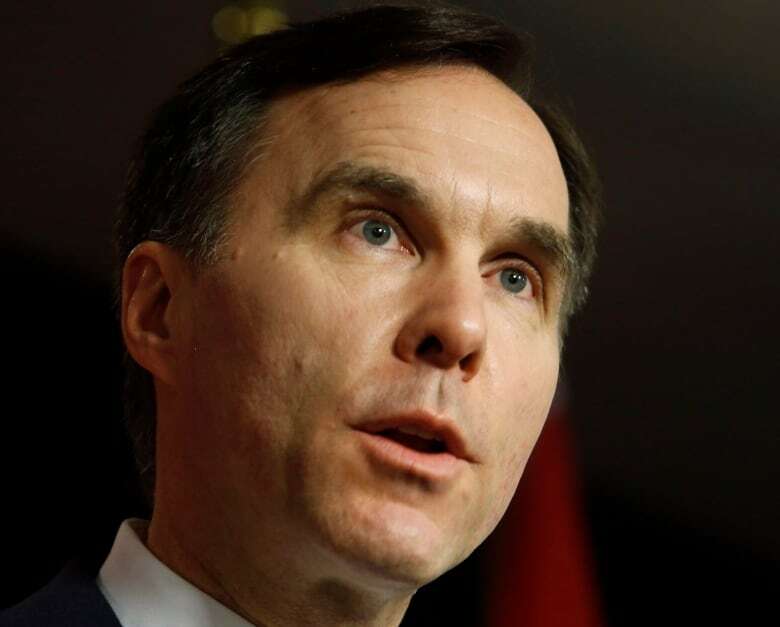 Finance Minister Bill Morneau called the plan "reasonable and affordable," despite the red ink washing across the otherwise sunny tone of his rookie budget. "Canadians told us two things: they said 'help me and my family' and 'make investments for the future,'" he told reporters before delivering his budget speech. "What we're also going to do is be prudent along the way." "This is a bad day for the taxpayers of Canada," interim leader Rona Ambrose said. "What we're seeing now is reckless spending without a job creation plan and no actual plan in the budget to return to a balance." The Tories said that in total taxes were going up by "at least $1.3 billion a year." The Liberals broke their election promise to contain the deficit to $10 billion annually, they said. New Democrats, on the other hand, focused on what they called "missed opportunities" to reduce inequality, slamming how the Liberals "shortchanged" First Nations education and child welfare. "What we're looking at here is a failure to deliver not only on their own promises but a failure to deliver on things that the courts have required them to do," NDP Leader Tom Mulcair told reporters. The NDP said Liberals "failed to fix" the employment insurance system. The third party wanted to see more stock option loopholes closed and a greater investment in health care. "Given the size of what they're spending, frankly it's surprising there are that many broken promises," Mulcair said. The budget centres on a suite of moves to help middle-class Canadians, a focus of Liberal attention for months. A tax cut passed in December lowered the middle-income tax rate by one and a half points and brought in a new top tax bracket for high earners. A new tax-free Canada child benefit starting July 1 will increase payments for most Canadians with children, simplify the tax code and offer greater assistance to lower-income families. It replaces both the income-tested tax-free Canada child tax benefit and the universal child care benefit, which was taxable. Families with incomes under $30,000 will receive the maximum benefit of $6,400 per child under six and $5,400 per child between six and 17, a gain of about $2,500 a year per child. As incomes rise, the benefit will be progressively clawed back, and eliminated entirely for households earning more than $190,000. The $4.5-billion net cost of the program for the coming year is partially offset by the elimination of the Conservatives' income splitting for families, a measure that would have cost the treasury $1.9 billion. Tax credits for children's fitness and arts expenses also are being phased out over two years, with maximum eligible expenses cut in half for 2016 and eliminated entirely in 2017. The 2016 budget begins fulfilling the Liberal pledge to spend $120 billion on new and existing infrastructure over 10 years. Phase 1 will focus immediately on public transit, water and wastewater systems, and affordable housing, something Trudeau himself admitted last week was "unsexy." Later investments will be "broader and more ambitious," the budget promises, focusing on the government's goal of shifting to a low-carbon economy and positioning Canadian cities to be more competitive internationally. 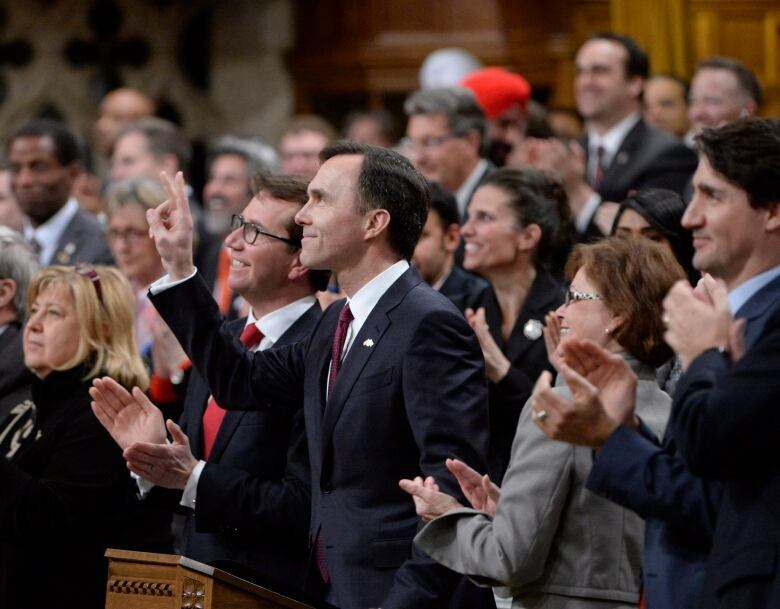 The budget allocates $8.4 billion over five years to help bring about "transformational change" in the socio-economic conditions of Canada's indigenous people and their communities. That includes $2.6 billion to improve primary and secondary education on reserves. A further $635 million over that span will go to improve family and child services, a figure welfare advocate Cindy Blackstock said falls short of the spending necessary to bring services for First Nations children in line with non-indigenous services. In the next two years, $500 million has been allocated to improve First Nations housing and another $225 million for on-reserve infrastructure. Other funding targets improvements in drinking water and waste management. The budget also takes significant steps to overhaul the employment insurance system, something forecast to cost over $2.4 billion over the next two years. But it does not change the corporate tax rate for small businesses, a move much-discussed during the fall election campaign. Morneau told reporters Tuesday that what businesses really need is an economy that works. The middle-class consumers businesses rely on will see their circumstances improve with the budget's measures, the finance minister said. Increases programs to assist injured veterans, and restores nine previously closed veterans affairs offices. Provides new investments to promote scientific research, including a $2-billion fund for post-secondary institutions to modernize their facilities. Increases Canada student grant amounts by 50 per cent for students from low- and middle-income families and part-time students. Rolls out a $2-billion low carbon economy fund, announced earlier this month with Canada's premiers at their meeting to discuss Canada's climate change strategy. Provides $675 million over five years to "modernize and revitalize" CBC/Radio-Canada. Boosts the guaranteed income supplement top-up benefit for single, low-income seniors by up to $947 annually, starting in July 2016. Funds a $112-million homelessness strategy, as well as funding for new spaces and support for people fleeing domestic violence. The budget does not, however, provide additional transfers to the provinces to address rising health-care costs. It does reallocate $3.7 billion for large-scale capital spending planned for the Canadian military between 2015-16 and 2020-21, pushing it off to later years. The government argues this is not a reduction in the Defence Department's budget, but a shifting of the spending forward to the years when the military expects to be ready to make these purchases. <a href="https://twitter.com/hashtag/Budget2016?src=hash">#Budget2016</a> confirms that another Decade of Darkness has started for the <a href="https://twitter.com/CanadianForces">@CanadianForces</a> - cuts in next 3 years are worse than 1995. All this spending takes its toll on the budget balance, adding $11 billion to the federal deficit in 2016-17 alone, bringing it to $29.4 billion. The Liberal election campaign promised modest deficits of $10 billion annually to fund infrastructure spending, with a return to balanced budgeting by the next election, expected in 2019. No return to black ink is projected in Morneau's five-year forecast. VIDEO | Deficit vs. debt-to-GDP: Which number should you care about? However, Morneau's budget speech emphasizes that by the time of the next election, Canada's debt-to-GDP ratio, a measure of how affordable Canada's deficit spending is relative to the strength of the economy, should be lower than it is today, albeit only slightly. The federal deficit calculations, however, are based on economic growth forecasts significantly more pessimistic than an average of private sector forecasts from February. That choice effectively adds $6 billion to the deficit. If the economy does not stagnate or decline further to the extent of these worst-case scenarios, the Liberals could outperform their gloomy deficit forecasts down the road. Deficit vs. debt-to-GDP: Which number should you care about?